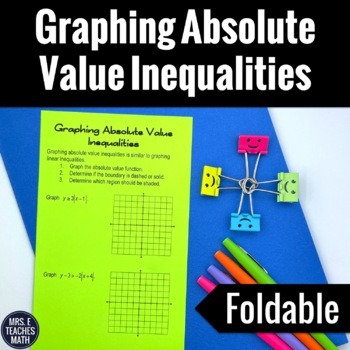 These notes are made for an interactive notebook! 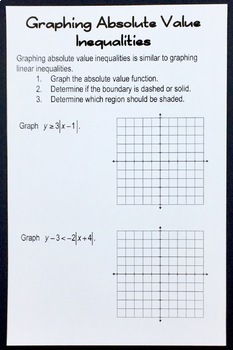 This is a half sheet that has the steps to graph an absolute value inequality and two practice problems. There are two differentiation levels included, with an answer key.